Instagram isn’t for every company, but when it’s done right, it can drive regular sales. If you have a growing Instagram profile that gets some engagement, but you’re not sure how to translate those likes, comments, and follows into sales, these actionable points will help get you started in the right direction. Having an Instagram profile doesn’t guarantee you’ll make money, but a great setup and styling is important when it comes to producing Instagram content that can translate into sales. When it comes to styling, a basic knowledge of photography can be extremely helpful. Just knowing how to test angles or what the rule of thirds is can get you ahead of the game. By having visually appealing photos, as well as the right setup with proper hashtags that appeal to a greater audience, you put your best foot forward, and your content will more likely translate into sales. Even though Instagram doesn’t allow clickable links in image captions, driving traffic to your website and product pages isn’t a complete bust. Many sites are offering Instagram-exclusive pages that post all the content they’ve featured on Instagram with direct links to buy. A few large retailers, such as Kate Spade and American Eagle, use Like2Buy, a service by Curalate that allows brands to create a custom landing page for Instagram. The brands then link to it in the URL section of their bio. Once a follower clicks on any photo, he or she is automatically taken to the purchasing page for the featured item in the image. This translates into more clicks for the buyer. It’s a great solution until Instagram starts allowing links in captions (if it ever does). LikeToKnow is another option available for brands. If you are an e-commerce business, this is a great way to drive leads from Instagram or other social networks. One of the easiest ways Instagram can be a source of sales is to have a customer service strategy. There are many examples of users who ask questions about products, want an update on an order, or check if a storefront is open during certain dates or times. The majority of users are looking for a simple response that will encourage them to make a purchase. Many brands don’t answer these questions or respond to followers’ questions, and this can sacrifice sales. What’s more, answering questions with an engaging, friendly voice will help users feel closer to your brand and more likely to become a customer. Of course, when you monitor comments for big brands, especially those with hundreds of thousands of followers, it can be time consuming and stressful. The effort is worth it: Customer service over social media makes a huge impact on a business’s bottom line. For an example of great user interaction on Instagram, look no further than the kings of customer service, Nordstrom. The retail giant is well known for going above and beyond for customers and non-customers alike, and Nordstrom’s interactions with followers online are no different. In their Social Media Employee Guidelines, which is publicly available on their website, they say, “Our number-one goal is to offer each customer great service, but we're certainly not perfect and we do make mistakes. Let's stay focused on working to deliver great service instead of bragging about it.” This commitment has earned them widespread praise for their social media customer service. 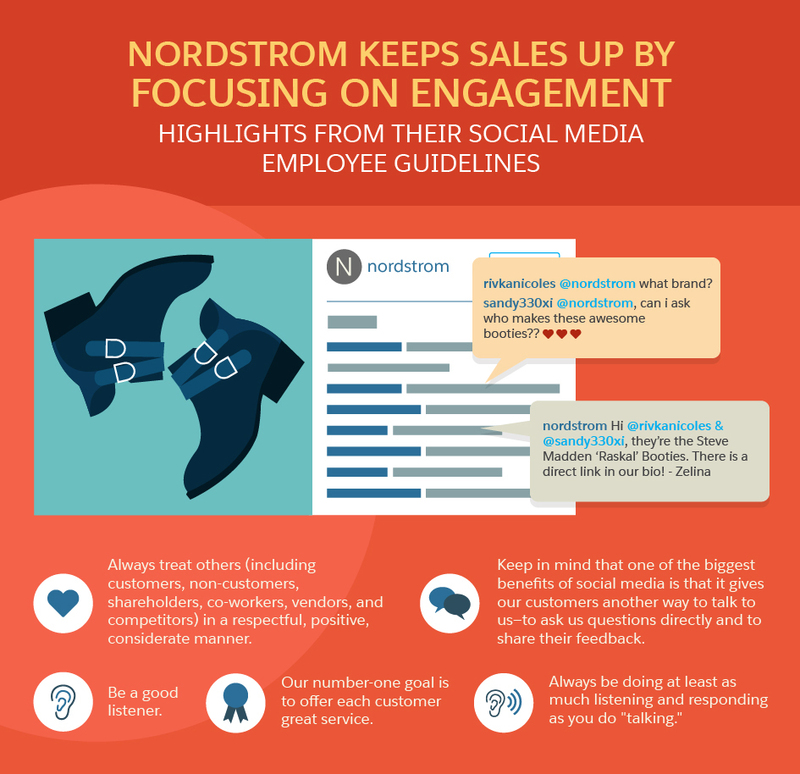 Like Nordstrom, make sure Instagram customer service is a daily part of your company’s social media strategy, and it will lead to more sales. Contests are a good way to interest users and drive engagement. 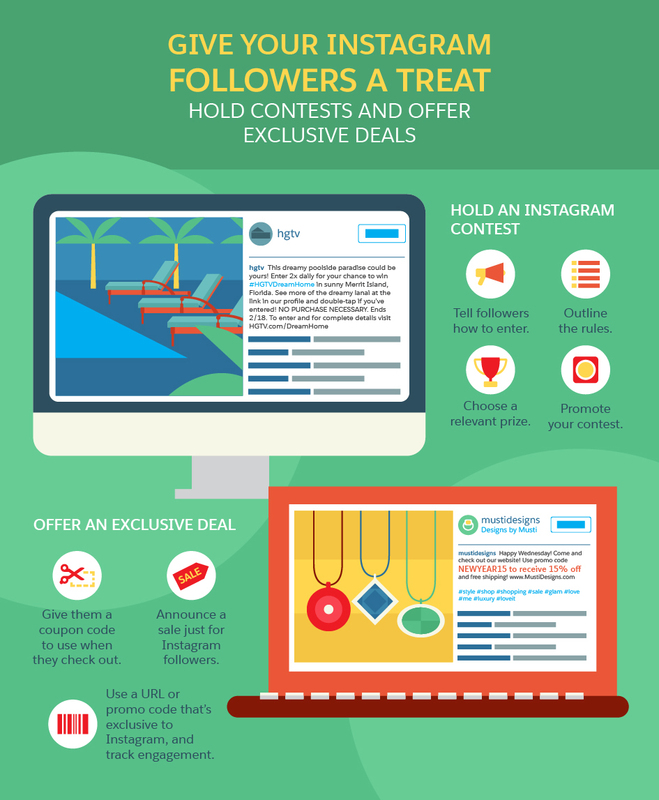 You can also offer exclusive deals on Instagram, and that may be the push customers need to make a purchase. It also piques their interest in something they may have not noticed otherwise. The psychology of getting a bargain on something is strong, no matter what platform customers are using. to track sales and results more accurately. Just like a contest incentive, exclusive promo codes or discounts on products that customers can’t get anywhere else are a good idea on Instagram. 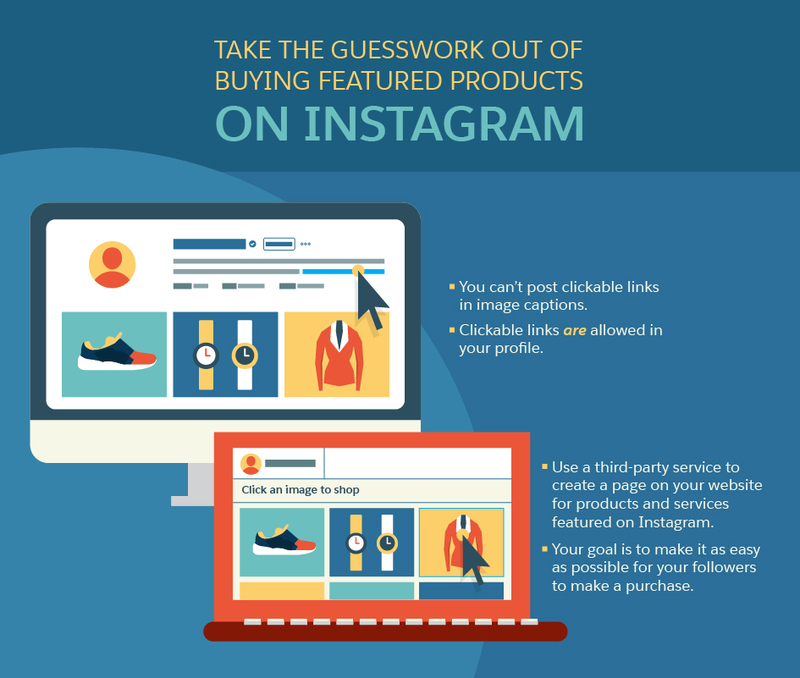 This will spur customers to follow your Instagram posts. Your business may find luck in following the adage, “You have to spend money to make money.” Now, anyone with an account can create Instagram ads. This is a great way to experiment with getting more exposure and sales on this social media platform. It’s estimated that $2 billion will be spent on Instagram ads by 2017. Instagram ads have a unique aspect that makes them crucial to your social media strategy: They allow you to have a link that lets users go directly to an external page. Kim Garst of Social Boom suggests creating a specific landing page on your site that is created exclusively for Instagram campaigns. As with any paid search campaign, having highly targeted destination URLs and landing pages can make the difference between a sale and a lost conversion. Instagram has posted a few case studies of brands that have seen high click-through rates, as well as a higher return on investment on this ad platform. And because advertisers who have a Facebook page can now create Instagram campaigns on the Facebook Ad Manager, creating ads is easier than ever. These paid Instagram posts are also a good way to see what gets the most engagement and what users find to be the most interesting. For instance, if all your posts on jewelry get more clicks, likes, and comments than posts on dresses, you know that pushing more organic jewelry posts could help overall sales. Note: Instagram ads don’t currently run on desktop. 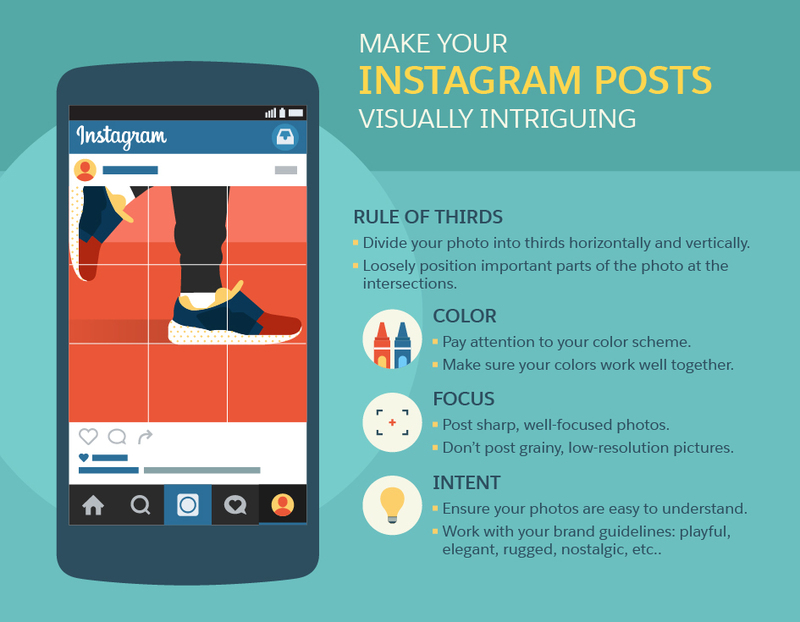 What works best for any company’s Instagram strategy—and what will increase sales and engagement—is likely a mix of multiple tactics. Build a beautiful Instagram profile, run contests, interact with users to grow engagement, and experiment with ad campaigns. 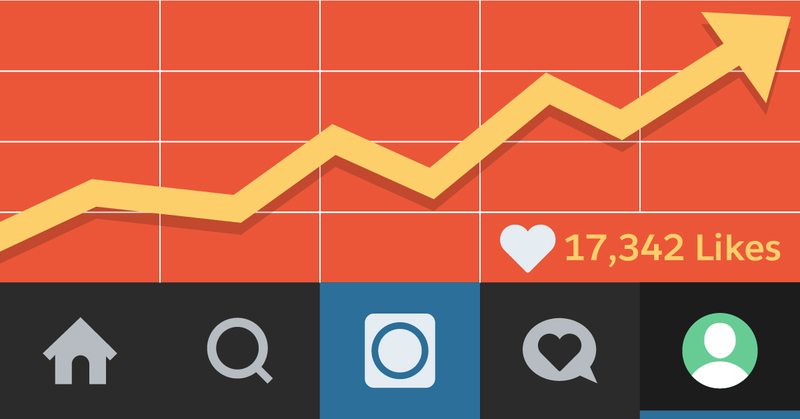 With a little effort, Instagram can become a viable source of sales for your organization.